Government officials serve their interests. In the US, it includes appointing corporate executives to run federal agencies. The Food and Drug Administration (FDA), along with departments of agriculture, commerce, energy, health and human services, environmental protection, housing and urban development, interior, labor, and other federal agencies are run by corporate officials or others beholden to industry interests. The agency is run by food and drug corporate executives, industry lawyers and lobbyists, or others connected to them, serving business, not public health, safety and welfare. Last May, Trump appointed physician, vulture capital investor, resident neocon American Enterprise Institute fellow Scott Gottlieb as FDA commissioner. Earlier he was involved in agency decisions affecting about 20 healthcare companies. His allegiance is to them, not public health and welfare. Trump’s Health and Human Services Secretary Alex Azar is a former drug industry lobbyist and executive. He was president of Lilly USA LLC, Eli Lilly’s largest affiliate company, earlier serving as Bush/Cheney’s deputy HHS secretary. The FDA is an HHS agency. They’re both responsible for permitting hundreds of hazardous to health food additives to be sold to the public – instead of banning them. They include aspartame, high fructose corn syrup, MSG, trans fats, blue, red and yellow food dyes, sodium sulfite, sodium nitrate/sodium nitrite, BHA, BHT, sulfur dioxide, and potassium bromate. Other permitted hazardous substances include high-potency industrial chemicals, pesticides, fungicides, growth hormones, antibiotics in foods, irradiated foods, glyphosate, and other known carcinogens. food colorings, pesticides, fungicides, nitrites, and hormones in foods. Most US cattle and sheep receive carcinogenic growth-promoting hormone implants (usually testosterone or estrogens). Packaging is harmful, containing dangerous chemicals able to migrate into food and other edibles. Most people in the West and other countries are aware of the hazards to human health of GMO foods and ingredients. Yet they’re allowed in America and elsewhere, along with the above substances in the US, showing the power of monied interests over the general welfare. In 1906, Upton Sinclair’s muckraking novel “The Jungle” exposed corporate excesses, worker exploitation, and unsanitary practices in slaughterhouses and meatpacking plants. Foods hazardous to human health were produced. Nothing was done to stop it. Unsuspecting consumers ate them. Over a century later, things are worse, not improved because of the power of big money and the influence it buys – politicians bought like toothpaste. Corporate lawyers and lobbyists write the nation’s laws, assuring the interests of their clients are served. It’s been this way for time immemorial, more egregious today than earlier. Johnson & Johnson is the latest corporate predator outed, the leading baby products company, its talc sales greater than all competitive products combined. According to a Reuters report, its executives knew about carcinogenic asbestos in its baby power for decades – yet failed to correct the problem and concealed it from the public. Asbestosis “is a chronic lung disease caused by inhaling asbestos fibers. Prolonged exposure to these fibers can cause lung tissue scarring and shortness of breath,” the Mayo Clinic explained. J&J’s indifference to public safety and health leaves the company vulnerable to thousands of potential lawsuits. 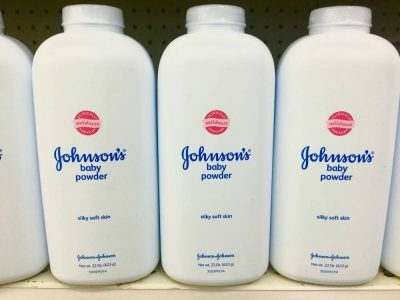 “J&J didn’t tell the FDA that at least three tests by three different labs from 1972 to 1975 had found asbestos in its talc – in one case at levels reported as ‘rather high,” Reuters reported. According to the World Health Organization and other health authorities, there’s no safe level of exposure to asbestos. Even minute amounts can cause cancer and other diseases years later in life. Asbestos and most other carcinogens have long latency periods, taking years for illness to occur. It’s unclear if J&J talc today is asbestos-free. What they sold decades ago was tainted, cancer and other diseases showing up years after use. J&J’s longstanding “Safety First” motto belied its practice regarding talc, perhaps other products as well. Many of America’s foods, drugs, and related products are hazardous to human health. Federal agencies run by corporate executives are part of the problem, largely gone unaddressed.